With each passing day, the late-aughts indie renaissance fades further and further from our collective memory. Maybe it’s for the best – the scene’s relatively swift and painless death has allowed for a new generation of diverse, boundary-pushing artists to emerge, often with twice as much to say as the “earnest” songwriters of Pitchfork’s heyday. However, while other bygone indie darlings have buckled under the feedback loop of navel-gazing monotony, Panda Bear emerges time and time again with work that never feels stale. Noah Lennox’s most inspiring quality has always been his humility. Intentions aside, nothing in his solo discography has ever felt overly-calculated or indulgent. While some artists might spend their entire careers meticulously crafting a signature sound, the blurred line between mood-building experimentation and accessible song craft seems to be the plane in which Mr. Noah simply exists. This might explain the continued joy to be found in each new Panda Bear record, and Buoys continues the tradition of effortless beauty that began all those years ago with Young Prayer. This time around, Panda Bear explores sparser sonic terrains, mostly to great effect. Critics have noted Buoys’ lack of Panda Bear’s usual psychedelic soundscapes – the instruments and samples can be singled out, and Lennox’s voice take center stage in a way that it hasn’t since his early releases. But don’t be fooled, Buoys’ skittering 808s and rhythmic guitar-playing are like swinging pendulums, snapping the listener in and out of each track’s hypnotic emotional trance. While songs like “Dolphin” and “Inner Monologue” reckon with the consequences of tech-dependency, and “Token” hints towards the political battleground (both figuratively and literally) of contemporary American society, most of the lyrics on this record remain cryptic, emphasizing feeling over content. The title of his last album alone – Panda Bear Meets the Grim Reaper – was hardly an exercise in thematic subtlety. On Buoys, Lennox opts for an esoteric songwriting style but strips away the dreamy veil of his previous work. That being said, this is another stellar contribution from an artist who (in an age where bold statements can often fail to live up their own expectations) clearly makes music for himself above all else. No pretense. "I see you so uncomfortably alone, I wish I could show you how much you’ve grown." Those lyrics plunged deep into my soul as I listened to Sharon Van Etten tear apart my heart the first time I heard her song “Seventeen” off of her latest album Remind Me Tomorrow. Sharon put to words thoughts I couldn’t even articulate about my adolescence. She poured out the most intimate thoughts about her life that were so personal yet relatable for many of us. Her vulnerability in Seventeen taps into my own insecurity I had at that age, yet strength I have now for the person I’ve become. Oh how I wish I could go tell my seventeen year old self that everything would be okay. I was wide eyed yet confused and desperate to find certainty in life. “You’re just seventeen” would probably sound so trivial to hear at the age of seventeen but I needed someone like my twenty two year old self to remind high school me that there is time. Not everything has to be steady nor scary when you are seventeen. “You think you’re so care free, but you’re just seventeen” tugs at my soul because I sincerely thought having a persona that nothing mattered was the “cool thing to do." And to be honest, there was nothing to actually worry about yet. I was just seventeen, yet so much like I am now. I was young and privileged to not face anything worth stressing over. I do miss having that simple mindset but I am so thankful for the hardship I faced after seventeen to make me the confident person I am today. There is still my happy and curious seventeen year old self in me but now I finally have certainty in myself that I was craving for so long. The funniest part is is that 10 years from now I’ll probably look back at this and laugh because by then I will know even more about who I am, which is probably how Sharon feels too. But the biggest thing that hits me in the song is the acceptance Sharon has with herself and the confusion she faced to become the woman she is today. It is clear for so many of us that at the age of seventeen and even now we struggle with understanding who we are. But “Seventeen” illuminates that and encourages us to have acceptance for the fights we all encounter with finding ourselves. Thank you, Sharon, for already creating my favorite song in 2019. I didn’t expect to find a song so personal that would make me feel like you and I had the same youth. You managed to articulate all of our doubts and turn it into an anthem for discovering ourselves. A part of me will always be just seventeen. 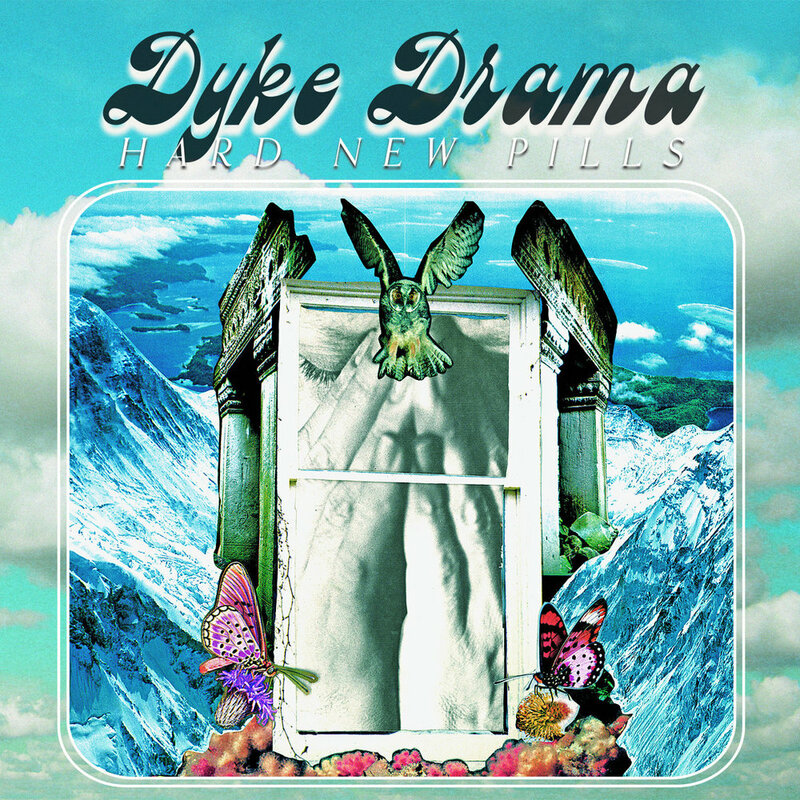 More than two years after Dyke Drama’s criminally under-hyped full length debut, Up Against the Bricks, Sadie Switchblade’s solo sad rock project released a follow up, this November’s Hard New Pills. The four-song EP is shorter, but no less satisfying and cathartic, than the act’s last release; each track is a concentrated bomb of emotion and narrative, and together they construct a makeshift symphony honoring the task of sobriety as well as the loved ones who haven’t made it out of that vicious process alive. The title track, which opens the album, is an anthem of both hope and frustration, acknowledging that as rewarding as sobriety can be, it’s easy to wish for the simpler, wilder times that came before: “Soon as the colors started coming back / You missed the black and white,” Switchblade sings on its chorus. On the second song, “Maniac,” Switchblade sings in a black metal-inspired growl over harshly chugging guitars, and imbues the refrain “I’m taking everyone down, everyone down with me” with the same foreboding catchiness that animates Courtney Love’s “Someday you will ache like I ache” in “Doll Parts.” The penultimate track, “Goodbye Vancouver,” pulls us up from rock bottom and ends with the wry and uplifting line “Hello cruel world,” perhaps a nod to gender theorist Kate Bornstein’s book of the same name, which offers “101 Alternatives to Suicide for Teens, Freaks, and Other Outlaws.” The last song on the EP, “Song for Barker Gee,” is named for a fellow punk musician and late friend of Switchblade’s. It’s filled with evocative vignettes of days spent “tearing through West Oakland” with Gee, as well as affirmations Switchblade would offer her friend were he still around. Like Up Against the Bricks, the EP ends on a somber note. For all the energy of most of Dyke Drama’s songs, Switchblade knows when to slow down and turn down the volume. Hard New Pills delivers on all counts: guitar solos that land and exit with satisfying expertise, memorably poppy refrains on both musical and lyrical levels, and tangible, tear-jerking emotion. A few days before my high school graduation, I danced in a small San Francisco venue with two old friends squished beside me. We were watching Girlpool on their Powerplant tour, an album that became the soundtrack to my final few months in suburbia before leaving for the city for school. Their set was intimate: They bantered with the audience between songs, the stage felt close from every spot in the crowd, and they sang their vulnerable tracks with emotion shining from their faces and in their voices. One year later, an article caught my eye. While scrolling through i-D, I found a piece written about Cleo — one half of the Girlpool duo — and their "musical and bodily transition." I could not be more excited and curious about the future work of the band (Powerplant feels quite feminine, so I wondered how a lower voice would play with their sound). When I learned about What Chaos Is Imaginary, I jumped at the singles and the album immediately. I find the contrasts of the album to be its most engaging feature. Songs like "Lucy's" and "All Blacked Out" feel dreamy, atmospheric, and sometimes haunting, while songs like "Joseph's Dad" have a more traditional rock sound, mostly showcasing an electric guitar. "Hoax and Shrine" is unique, neither atmospheric nor rock-y, but acoustic in the vein of a traditional ballad-prone singer-songwriter. That is my favorite song on the record. Additionally, Cleo's deeper, smooth voice contrasts the more tinny, feminine sound of Harmony's voice. Continuity persists in the album, too, with the same confessional, raw lyricism and harmonies between the duo that are featured on their previous work. At the moment, my life is quite opposite of the one I was experiencing when I graduated from high school. Then, there was a definite end, where now, I am smack dab in the middle of college, without the end — or the beginning — really in sight. What Chaos Is Imaginary suits this perfectly. The new album expresses the idea of complexities compounding, blurring out what is real and what is not; it discusses being caught in some sort of emotional, existential purgatory. Girlpool makes the chaos feel less lonely.